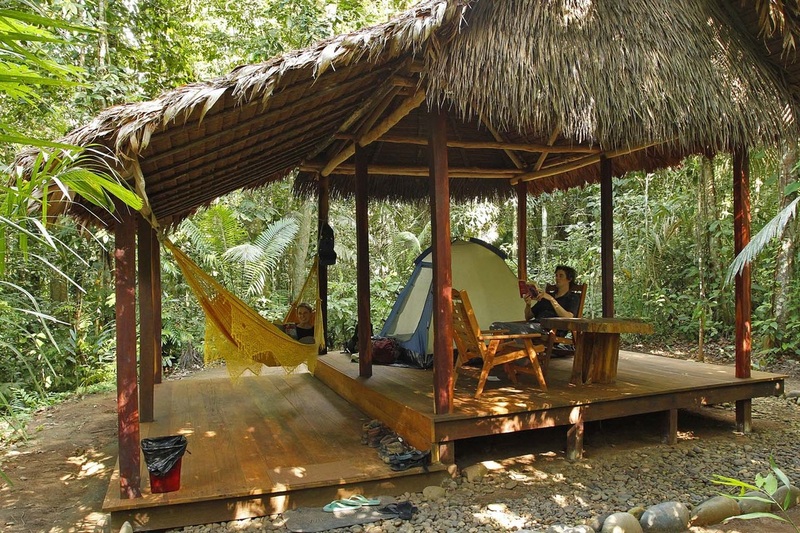 The EcoCamp has three private Tacanas huts completely separated from each other to provide a genuine jungle experience. The cabins have an open-air platform, where you will find an amazing space to relax and appreciate the sights and sounds of Madidi National Park. This platform includes Adirondack chairs, tables, hammocks and of course, a tent to sleep. But this tent is no normal tent; you will sleep in the best possible conditions as they are equipped with single or double beds with fresh linen. 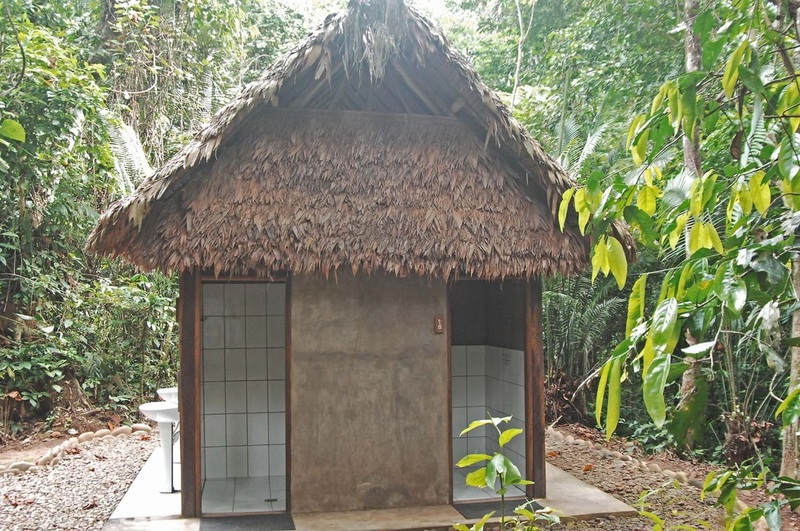 A short walk from the huts will lead you to the communal bathrooms. There are seperate facilities for men and women. They include clean flushing toilets and showers. The water comes from the local creek which provides us completely natural water. The water is not heated, but after long treks in the jungle most of our guests would prefer it in that way!